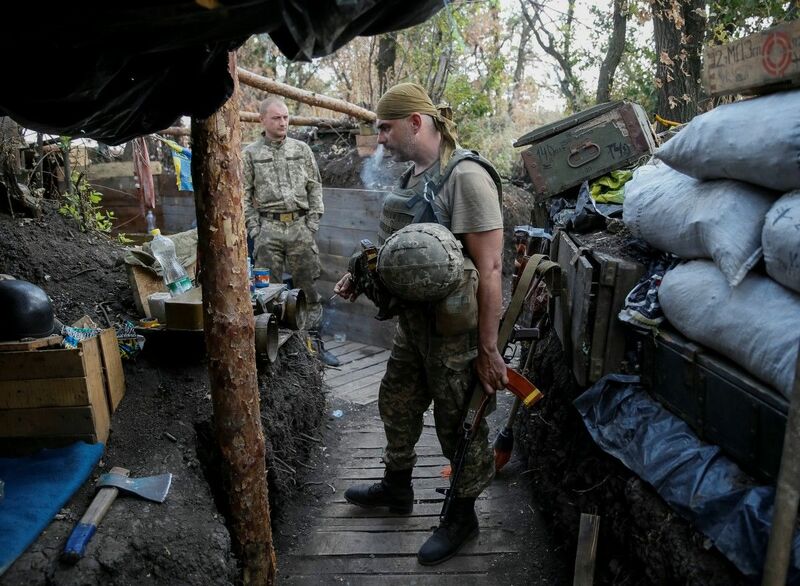 Three Ukrainian soldiers were wounded in fighting in eastern Ukraine in the past 24 hours, according to presidential spokesman for ATO issues Oleksandr Motuzianyk. "There were three wounded in action (WIA)," Motuzianyk said at a briefing in Kyiv on Thursday, a UNIAN correspondent reported. According to Motuzianyk, further aggravation of the situation along the demarcation line was recorded on the Day of Independence of Ukraine in Donbas. Read alsoRussia presses charges against Ukraine's defense minister, top brass for Donbas attacks"Now we can say with certainty that yesterday's tank, mortar and artillery fire by the enemy were the strongest since the battle for the town of Debaltseve," he stated. As UNIAN reported earlier, combined Russian-separatist forces attacked Ukrainian army positions in eastern Ukraine 85 times in the past 24 hours – 38 times in the Donetsk sector, 22 times in the Mariupol sector and 25 times in the Luhansk sector.